The Aqua Line would run between Sector 71 station in Noida and the Depot Station in Greater Noida, covering 29.7 km. New Delhi: The much-awaited Noida-Greater Noida metro rail line is likely to be inaugurated on January 25. The inauguration will be done by Uttar Pradesh Chief Minister Yogi Adityanath and it will open for passengers on the same day. The rail corridor also known as the Aqua Line would run between Sector 71 station in Noida and the Depot Station in Greater Noida, covering 29.7 km. 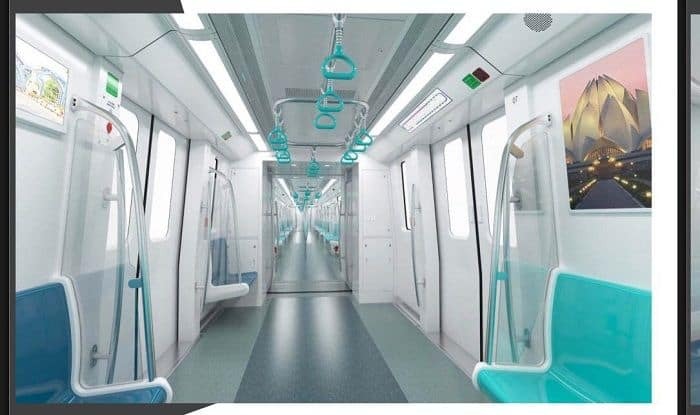 He said the inaugural event would be held at the Depot Station from where the chief minister would take a ride on the new metro up to Sector 142 station. 1. There are a total of 21 stations on the corridor, 15 of them in Noida and six in Greater Noida. The Aqua Line would run between the Sector 71 station in Noida and the Depot Station in Greater Noida. 2. Last year Noida Metro Rail Corporation (NMRC) had announced fares for this Line. The minimum fare would be Rs 9 and the maximum Rs 50. According to official statement, travelling one station would cost Rs 10 on an QR-coded ticket and Rs 9 via smart card; 2 km would cost Rs 15 on ticket and Rs 13.50 on smart card; 3 to 6 km would cost Rs 20 via ticket and Rs 18 on smart card; 7 to 9 km would cost Rs 30 on ticket and Rs 27 on smart card. 3. Passengers commuting on this line could buy QR-coded paper tickets or use smart cards on the 29.7-km-long network. Notably, smart card users will get a 10 per cent concession on fares. 4. The metro will stop at Sector 76, 101, 81, NSEZ, Noida Sector 83, 137, 142, 143, 144, 145, 146, 147, 148, and Greater Noida’s Knowledge Park II, Pari Chowk, Alpha 1, Delta 1, GNIDA Office and Depot metro stations. 5. PTI reported that passengers will have to get down at the Sector 52 metro station of the Blue Line and reach the Noida Sector 51 station of the Aqua Line, covering a stretch of about 200 metres. 6. Seats have been reserved using different colours in the coaches for ladies, senior citizens, and differently-abled persons. Space has also been provided for a wheelchair in driving trailer cars at both the ends of the trains. 7. The Aqua Line construction started in May 2015 and was completed in record time. It was expected to be opened for public in November 2018, then December. The NMRC had entered into an agreement with a private firm on Monday for the solar energy project of the Aqua Line. A total of 10 MW power would be generated by the solar panels which would be used at the metro stations, the depot and in the parking areas.